The color on these rocks are simply stunning. I have them sat around several locations and they are popping! Moss Covered Rocks can add a tasteful and creative touch to any garden. They can be placed around a pond to create a natural looking pond habitat. Rounder rocks can also be arranged as a path in a shaded area of the garden to make a rustic or "fairyland" aesthetic. No matter what the placement or usage, when placed with a design in mind, moss-covered rocks can be very beautiful. Moss Covered Rocks are great to use with accent areas of the garden or landscape. These are popular in landscaping and become more and more popular each year. They are perfect for creating a beautiful and wistful environment with hardly any effort! They are used in gardens, water features, and landscape walls, as this is harvested from quarries. They are harvested in blocks and chopped into many different sizes. Not only will it bring color, but it will add a rustic appearance to the landscape because of the variances in colors, patterns, and dimensions of the rock pieces. The way to care for these moss covered rocks is to follow these instructions. 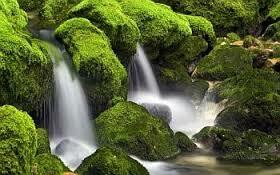 They should be watered every week to maintain the best performance and results by the moss. Additionally, they should be misted to keep the water at the appropriate level. For amazing results, make sure the rocks get some bright indirect sunlight during the day. These will not do well in direct sunlight. Moss Covered Rocks will look great when placed anywhere in the garden. 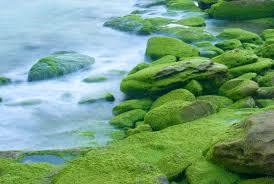 They bring height and texture to the area as well as some beautiful green coloration. What makes them even better is the fact that the rocks are different sizes and can be arranged in any way that is desired. These rocks also help to bring out the colors and plants that are in the surrounding area, making it an excellent purchase. Give these a try out in the garden to see how they can have a significant impact.